It is common knowledge that Cardiff is one of the hottest tourist destinations in the United Kingdom. After all, it is not called the centre of sporting and cultural institutions for no reason. With over 18 million visitors annually, this is enough proof to show that Cardiff deserved its title of the 6th alternative tourist destination in the 2010 list by National Geographic. Apart from the sporting and cultural significance of Cardiff, this city is also known for its political and historical significance. Are you tempted to go and visit Cardiff as well? If you will be travelling with a crowd and are eager to minimise your travelling expenses, why not hire a minibus in Cardiff that will take you around the city’s hotspots in leisure and comfort? Here’s some information to get you on the right track. Roy’s Travels - This deluxe, chauffeur driven luxury coach service benefits any official and corporate trip that demands VIP attention with the classiest minibus models available today. Creigiau Travel - If you want practicality, experience, and safety above other things, check out the garage of Creigiau Travel to find the most modern and most suitable minibus model for your travelling group. Apollo Minibus & Coach Hire Ltd - Want ‘to-the-dot’ accuracy when it comes to travel? 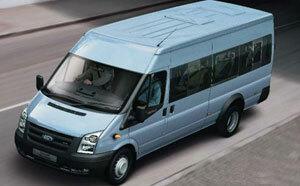 The best car hire company for you will be Apollo Minibus & Coach Hire Ltd. Whether you will drive it yourself or rent with a driver? Distance from the pick-up and drop-off points of your chosen itinerary. For reference, a Cardiff-based company provided this £600 quote for a 20-seater Mercedes minibus model: 24 hours, without chauffeur, and with pickup/drop-off points at Cardiff Airport. A chauffeur-driven minibus may cost an additional £100 or more. As earlier mentioned, the most stress-free way to hire a minibus in Cardiff is to seek the help of a travel agency. However, you may also ask recommendations from people you know who live in the area. If this is impossible, speak to the owners of a small business in your area. Who would they recommend and which franchises do they normally go with. Hire a minibus in Cardiff and enjoy the sights and sounds of the city that captures the hearts of millions every year.